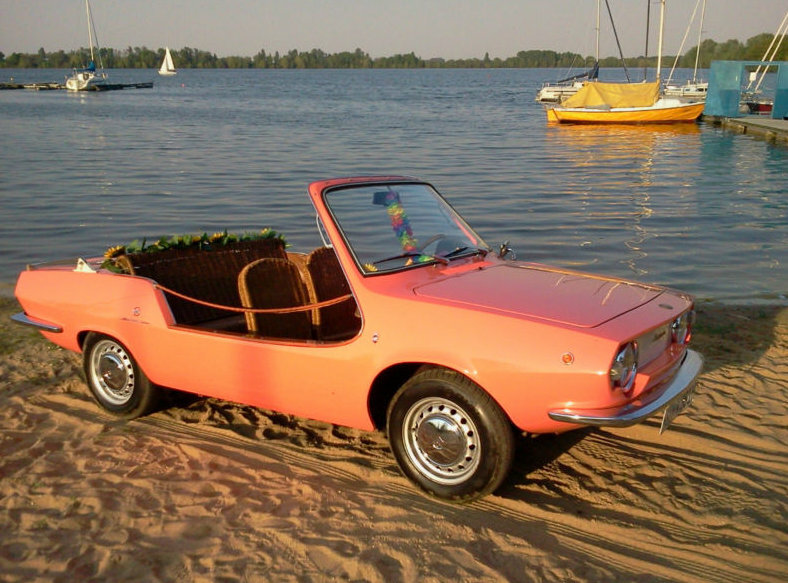 1968 Michelotti Shelette Jolly - I've never seen one of these before. If the seller is correct and this is just 1 of 5 left in the world, there's a better than average chance I'll never see one again. Jolly cars were basically used as beach cars. Some as taxis and some privately. The most popular Jollys are ones based on a Fiat 600 or a Renault 4CV. The common trait of all Jollys is open, doorless bodywork. 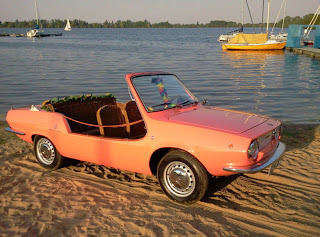 This Jolly is based on a Fiat 850. It was designed by Giovanni Michelotti. Somewhere between 80 and 120 were built. According to one website, the engines were all Abarth tuned. Located in Swisttal, Germany, click here to see the eBay listing. 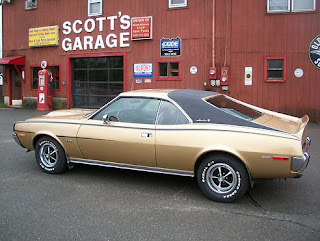 1970 AMC Javelin SST Mark Donohue Edition - This is pretty interesting. The person selling this is calling it a Javelin Mark Donohue Edition. In 1970, AMC built 2701 Mark Donohue Editions celebrating Donohue's and AMC's successful entries in SCCA Trans-Am racing. If you really care about this being a "real" Mark Donohue Edition, do some serious research. 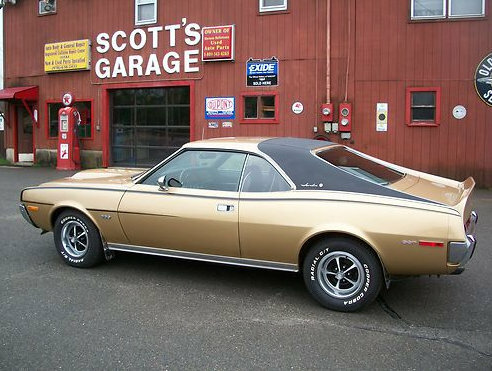 If you don't care much about that and are just looking for a nice Javelin, this car is worth checking out no matter what it is. Located in East Templeton, MA, click here to see the eBay listing. 1969 Buick Electra - This is for Mother's Day. As I've mentioned in the past, my dad worked for General Motors. GM provided him with company cars that he would use to commute to work. He would buy a car - GM built, of course - for my mom. In 1969 he bought her a Buick Electra. I was pretty young and I don't member all the details of my mom's Electra, but I remember it was gold and a 4 door. I tried to find a gold 4 door Electra to post, but there just weren't any for sale. This was the best I could do. When I was kid I didn't realize just how massive these cars are. The 1969 Elektra is 18 feet long and 6 feet wide. (A Hummer H1 is 15 feet long and 7 feet wide.) Wow. Located in Cincinnati, OH, click here to see the eBay listing. Happy Mother's Day to all the moms that read JaCG!